The Flora-Bama Yacht Club features open-air waterfront dining on Ole River across the street from the world famous Flora-Bama Lounge, Package & Oyster Bar. With a chef-to-table experience and hand-crafted cocktails, this Gulf Coast establishment is a place where everyone is a member. Join us by boat or by land, fancy or sandy, and come try our delicious Bushwackers and Greek Shrimp Nachos. 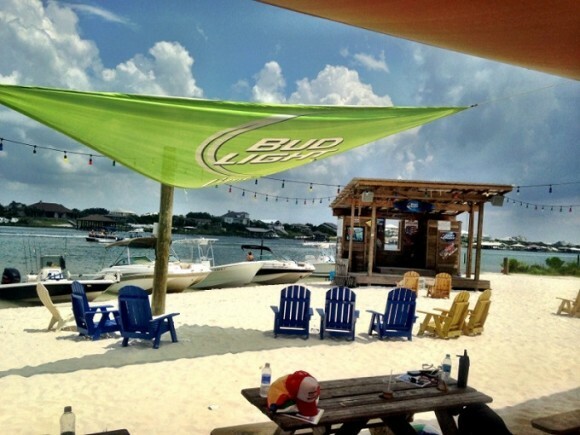 Come relax, enjoy the scenery, take in the atmosphere, and make a few new friends at the Flora-Bama Yacht Club.